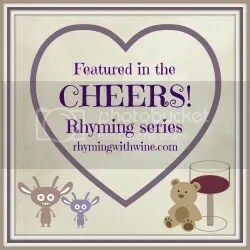 Another week, time for another weekend roundup! We are literally sat down for the first time in what feels like ages together in our living room! And it is not an absolute pig sty!!! Success. I am currently sat under the biggest banner I have seen consisting of all 24 flags each one from the countries taking part in Euro 2016. I am also in eye line of a huge England flag which stretches the entirety of the living room window. Yes, we are football mad in our house which meant with an England game on a Saturday night we had to host a party! 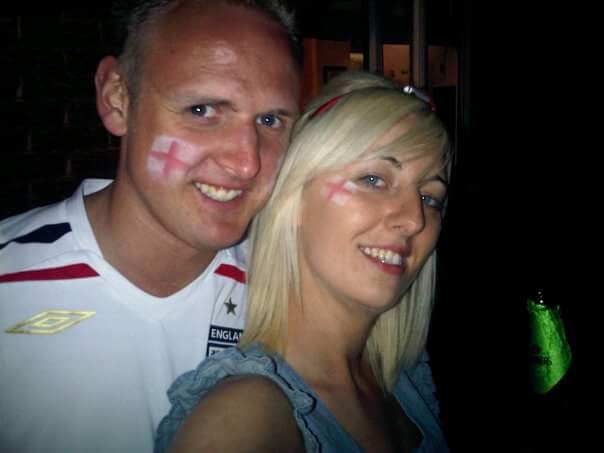 I had a memory pop up on my Facebook of a World Cup party we had attended six years ago, back in the day when we had just met, we were child free and able to go to house parties without a care in the world! The huge Euro 2016 banner! Back then we spent a lot of time with a couple who I had met through work. They were a bit older than us and already had children and were married which of course at the time we weren’t being only a couple of months into our relationship. We idolised what they had, the perfect home, perfect marriage and beautiful children. When I was single they had welcomed me into their home at the times when I was really in need of people and had made us feel part of the family when I met Gary. The world cup party was one of their regular gatherings that they hosted at their pad and we absolutely loved it! So much so that ever since we have hosted our own party every two years for the Euro/World Cup. (Unfortunately the couple split up hence we started hosting our own party). Whenever we host a party I just want everything to be perfect. I love hosting, love the getting ready with what food to prepare, what entertainment to put on, the decorations as you have already heard. I just want it to be as amazing as the party we used to attend. So in classic Porter style last minute we were decorating our hall and landing ready for new stair carpet to be fitted the day before the party! All this after over two weeks of a new kitchen and utility room being installed! Every night this week we have worked in between breastfeeding the baby, glossing and painting some nights until the wee hours. 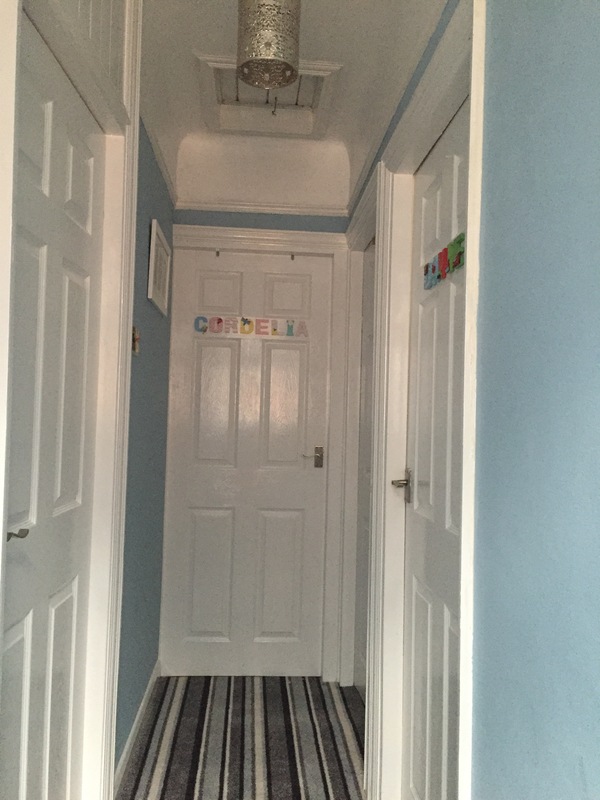 But I am pleased to say the hallway and landing look fantastic! Well the guests thought so anyway. Had to get a landing shot after all the hard work! The party went without a hitch. Other than half the guests not turning up! Haha! Although if everyone I had invited had done I am not sure where I would have put them all. They definitely would have all been well fed though looking at how much food I had left over. I love to do hot food at events like the football party so along with the normal crisps, nuts, sweets etc I did a mound (more like Snowdonia than just a hill) of Jacket spuds, a big pan of chilli, beans, cheese and tuna mayo. It went down a storm if I do say so myself. Even my husband’s step dad, who is usually hard to please where food is concerned was seen tucking into a chilli jacket!!! Cordelia absolutely soaked up all her family being around, we don’t normally let her stay up late but I just thought why not. She was finally convinced into wearing the H&M England shirt I had bought for her after her third outfit change of the evening. Total diva! After a few showers on and off she got in the garden with her Aunty and Uncle, and they were still playing football when it got dark. Until she fell flat out on the sofa just after the last few guests who weren’t staying over had left. 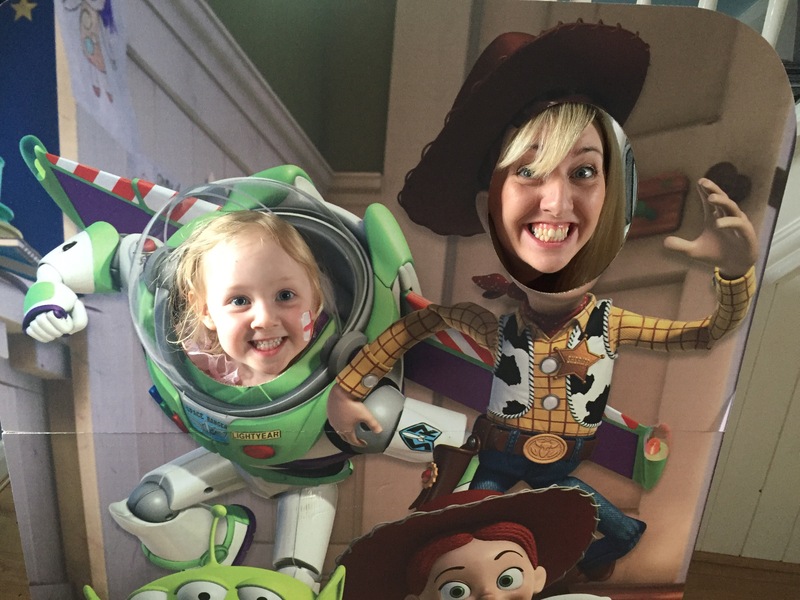 Cordy Buzz and Mummy Woody! Sadly the match that everyone had come to watch didn’t go quite to plan with a draw but we enjoyed it all the same. 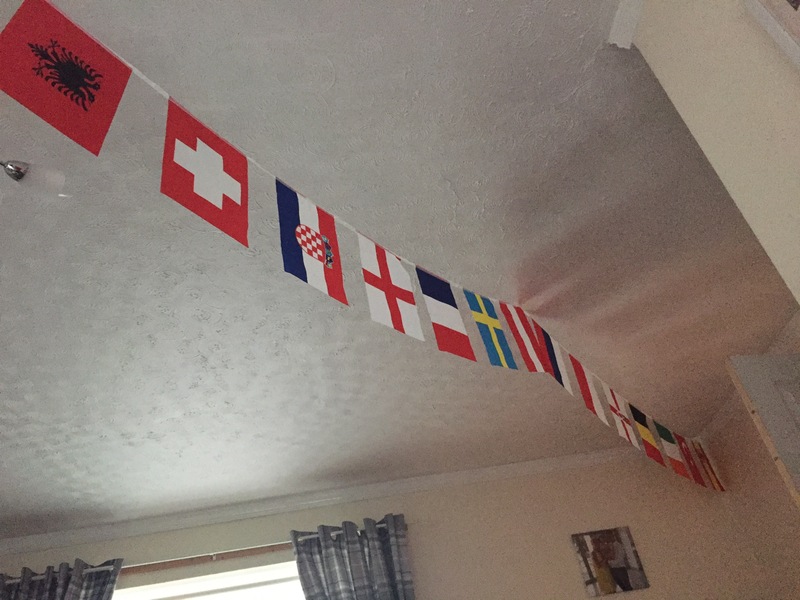 The obligatory England songs were played all night long so the mother in law and I got in the kitchen for a boogy. The drinks were flowing. Even the gazebo was put up so either of the two televisions that had been erected in our living room could be seen. My dad brought some cardboard cut outs with him from a recent village fair he had been involved in where he lives (P.S. this dad is actually my step dad but we will leave that for another day). There was a Queen cut out and a Toy Story kids size number you could put your head through for pictures that was a real scream. All in all it was a successful event. Today started perfectly with a quick cuddle before a family breakfast in the kitchen. Cordy and her daddy at the breakfast bar and the boy sleeping in his bouncy chair. I was free to cook breakfast and potter about tidying the little pots from the night before. A quick Porter getting ready and we headed round to my father in law’s to celebrate the Queen’s birthday with a garden party. Even the on and off rain couldn’t stop our enjoyment and we had some more family time much to Cordelia’s amusement. And a BBQ cooked under an umbrella. Although she isn’t completely her cousin, Cordy loves playing with Gary’s step sister’s little girl, they play together so wonderfully and I really hope they grow up as close as they have so far. 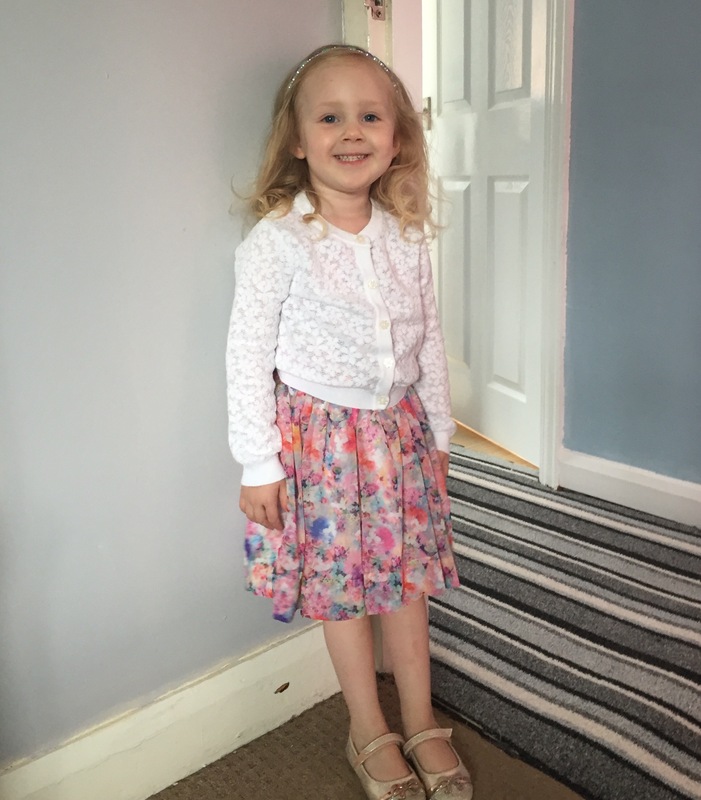 My grown up girl ready for the garden party! I am glad that Cordelia has had the time to chill and play with her family this weekend. I think it must be the first weekend in a while I haven’t spent telling her no over and over again the poor girl. Tomorrow marks the next step in her journey to hearing with a hearing retest at the hospital, for those who don’t know we found out that Cordelia has severe hearing loss which actually was the catalyst to me starting this blog (check it out here Hard to hear). Tomorrow’s test will give us the most up to date information on her hearing in readiness to see an ear, nose and throat consultant on Tuesday so fingers crossed it all goes well!! Hopefully I will be updating with some news this week. Anyway I would love to know what everyone has been up to this weekend and hope you all have a lovely week! 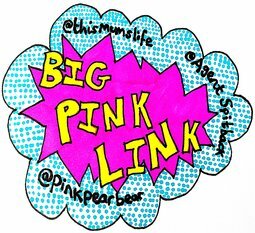 Sounds like a great time- made me laugh when you wrote about painting in between breastfeeding- I remember once trying to shovel bricks out of a fireplace we were knocking out in between breastfeeding- the things we do! I’m sure they say you are meant to take it easy on maternity leave haha! As if any of us take any notice of what anyone tells us to do-lol!! What did I do over the weekend,well I have to admit I have now got an admirer.One of the male residents where I live has shown a liking for me.I don,t feel wrong about it as Grandad has been gone for 15years.Chris is the gentlemans name and he is 11years younger than me but very clean and polite and caring.I will admit I was pleasantly shocked that someone had taken a shine to me but I find it really good to be spoiled for once in my life.I will keep you in the loop now I have come clean but I hope you don,t disapprove.I will write again soon.Love Grandma.